Qualcomm has announced the Snapdragon 845, a new high-end chipset for smartphones, tablets, notebooks and other mobile devices. The successor to the Snapdragon 835 comes with improved processor performance, a faster modem and a better graphics unit. It is expected that the Snapdragon 845 will be used in various flagship smartphones with Android OS from 2018, for example, in devices such as the LG G7 or the Samsung Galaxy S9. The heart of the Qualcomm Snapdragon 845 is an octa-core processor. This consists of two quad-core processors, each with up to 1.8 GHz or 2.8 GHz clock power. The associated main memory is clocked up to 1866 MHz (Dual Channel LPDDR4x). The performance should be well above that of the predecessor Snapdragon 835, so the chipset now supports, for example, the encoding or decoding of videos with 2160p resolution at 60 fps and 10-bit color depth in H.265 format. Of course, the Qualcomm Snapdragon 845 also has an integrated modem. While the predecessor Snapdragon X16 modem with LTE Cat16 installed, the Snapdragon 845 is now the Snapdragon X20 modem with LTE Cat18 on board. The maximum LTE speed is 1.2 Gigabit per second in the downlink and 150 MBit/s in the uplink (UL Cat13). The downlink supports 5CC CA, which is a fivefold channel bundling. In addition, the modem can downlink the 256QAM modulation as well as 4 × 4 MIMO on up to three carriers simultaneously. A maximum of 2CC carrier aggregation is possible in the uplink, and 64QAM modulation is also available here. Of course, the speeds that can be reached on the end device depend not only on the modem but also on the mobile network. In many countries, few providers currently offer 1.2 GBit/s in its LTE network. 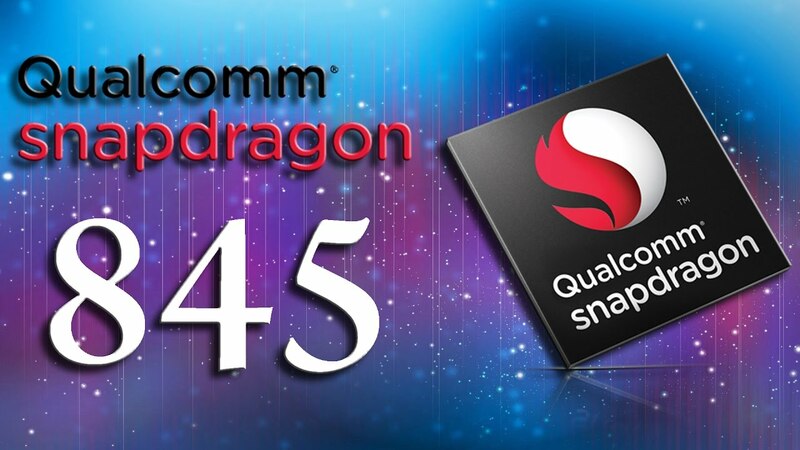 Other features of the Qualcomm Snapdragon 845 include display resolutions of up to 4K Ultra HD, both on the integrated display and on a possible external display. As a graphics processor, an Adreno 630 is used, compared to the Adreno 540 from the Snapdragon 835. In addition, the chipset offers native support for biometric authentication as well as secure mobile payment.